Now, you might think you are a warrior, and get through 5, 6, or even 7 nights of all day and all night partying, but let’s be serious, you may need a quick break. There is no shame in taking your 3rd or 4th day, and relaxing a bit, and maybe sleeping throughout the day to catch up. In Las Vegas, there is generally less going on during the day than at night, so you want to make sure you are well rested for each night. A lot of people go to Las Vegas for one reason, and that is to gamble. With most states not allowing it, you can go hog wild here on Spring Break. 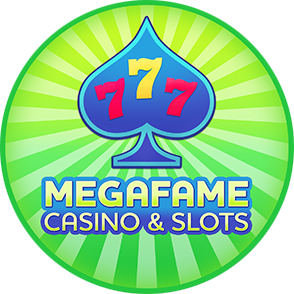 Every hotel has a least one casino or type of game you can gamble on, so you might as well take advantage of this during the day. 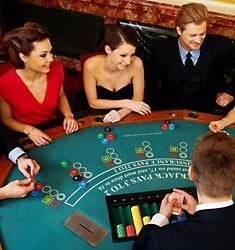 You probably won’t do a ton of gambling at night because you will be partying at the clubs and hooking up with randoms, so daytime is the best time to gamble. Plus, most of the hundreds of casinos usually have lower table limits during the daylight hours, so you can save a few bucks while gambling. Beautiful people party at the pool during the day, and there is no wonder why. With Vegas temps being perfect in the high 80’s to low 90’s, everyone is out getting some sun by the pool. If you want to sight see some beautiful people, the pools are a great spot to start. You will meet countless Breakers all looking for the same good times at the pool, and they host some wild and crazy Spring Break parties every year. The drinks are good, and the music will get you dancing for hours. Located at the MGM Grand, the pool party at Wet Republic is one of the most notorious hot spots to rage during the day. While some pools may not be open yet during Spring Break, Wet Republic will be open, and knows how to throw down. The 53,000 square foot venue brings in a lot of celebrity DJs, especially the summer resident DJs, Steve Aoki, Calvin Harris, and Tiesto. Head to Wet Republic and their nearly 100 foot bar for a Spring Break day party like no other.